See which rewards credit card is right for you! 6 – Premier Rewards Card Points: You will earn 1 Reward Point (“Point”) for each dollar of eligible Net Purchases charged to your Account during each billing cycle. You will also earn 1 additional Point (for a total of 2 Points) for each dollar of Net Purchases charged to your Account during each billing cycle at merchants which categorize their business as a service station or automated fuel dispensers. You will earn 2 additional Points (for a total of 3 Points) for each dollar of Net Purchases charged to your Account during each billing cycle at merchant locations that are classified in the merchant category code of airlines. You will earn 3 additional Points (for a total of 4 Points) for each dollar of Net Purchases charged to your Account during each billing cycle at any merchant classified as a restaurant. Points expire five years from the end of the quarter in which they are earned. 7 – Certain limitations and restrictions may apply. Further details are available in the Guide to Benefits which is provided to new cardmembers upon approval. 8 – Late payments and going over the credit limit may damage your credit history. 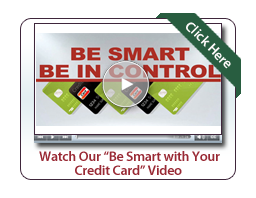 Learn how to use your credit card wisely and avoid paying costly fees and charges! Protect your account and call 1-800-558-3424 about a lost/stolen card right away. Click here to download our credit card app. It is quick and easy!